This year’s All-Star Game in New York will be upon us in a week’s time, which means after three months of baseball, we have finally reached the midpoint of the season. In those three months we have witnessed a slew of surprise contenders, memorable performances, and a number of big league debuts by some of the game’s top prospects. 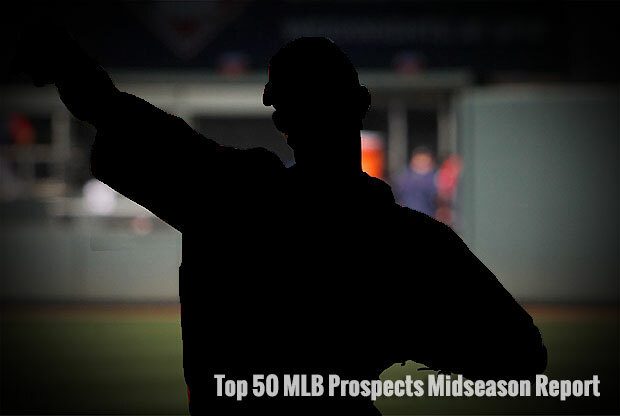 Now that half of the 2013 season is in the books and some of the top prospects heading into the season have already transitioned to the majors, it is now time to rank the Top 50 prospects at the midseason point. The list that follows focuses on the Top 50 prospects who are not currently playing in the majors and/or have not eclipsed rookie eligibility. When taking into account the respective ranking of each prospect, we looked at talent/ability level, respective league difficulty, and progression (as well as projection) of each player up through the current period of time. The future of Major League Baseball looks bright and the prospects that follow represent that future with a burgeoning amount of talent and plus potential.